Metalor Technologies SA is one of the oldest and most renowned manufacturers of fine precious metals worldwide. It is also one of the five referees worldwide on both LBMA (London Bullion Market Association) and LPPM (London Platinum and Palladium Market), two trade associations defining and supervising the precious metal markets, and specifically the physical delivery of precious metals. Metalor Technologies supplies ingots to banks and financial institutions, and sells precious metals to industrial customers. The form and degree of purity varies according to the individual customer’s requirements, and can go as high as 99.999% grade. 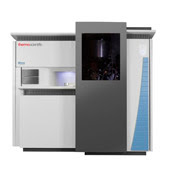 Two years ago, Metalor Technologies purchased a Thermo Scientific™ ARL iSpark™ OES spectrometer for the control of their fine precious metals. Read Metalor Technologies’ testimonial to learn how the ARL iSpark allowed them to gain a significant time while providing highly accurate results for their large number of daily analyses. The new Thermo Scientific Nexsa XPS system is the first compact XPS system with the ability to integrate four complementary techniques to maximize your analysis techniques: Raman, ISS, UPS and REELS. Combining XPS with Raman provides a unique look at the material chemistry with elemental and physical insights. By integrating the two techniques on the same platform, a much richer analysis is available; true correlative XPS-Raman data is straightforward and fast, opening up new and exciting materials characterization opportunities. The concentration of sulfur in petroleum products remains an important quality control parameter for oil refineries and distributors. After North America and Europe, more and more countries impose the use of ultra-low-sulfur diesel (ULSD). Depending on the country or region the maximum permissible sulfur content can be as low as 10 ppm. 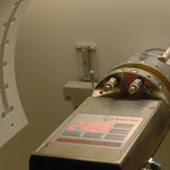 XRF and EDXRF in particular is often used as a fast analysis technique for the accurate determination of sulfur in petroleum derivatives. The ASTM D4294 test method covers this type of analysis using the EDXRF technique. Discover the repeatability and limits of detection obtained with a Thermo Scientific ARL QUANT’X EDXRF benchtop spectrometer. Glass is known as a non-crystalline amorphous solid. In its purest form it is a single component fused silicon dioxide or silica (SiO2). 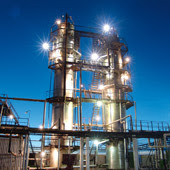 As pure silica glass is both expensive and difficult to process other oxides are added to alter the properties for a given application. Ordinary window panes and container glass are formed from so-called soda-lime glass composed of about 70% silica with sodium oxide (Na2O) and calcium oxide or lime (CaO) as well as other minor additives. In-depth glass coloring is obtained by incorporating various metallic oxides such as iron oxide (Fe2O3). Check the suitability of the Thermo Scientific ARL QUANT’X EDXRF spectrometer for the analysis of glass samples. X-ray diffraction is a structural analysis technique that is often used to characterize materials as a function of environment, temperature and other external conditions. Whenever materials undergo thermal cycles (at low temperatures or high temperatures), phase transitions invariably take place and the crystal structures of these materials differ considerably resulting in their different properties. Learn how using the real-time detector technology of the Thermo Scientific ARL EQUINOX 100 can allow you to analyze structural phase transitions of materials at high temperature. 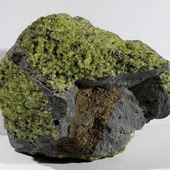 X-ray diffraction (XRD) is considered to be a gold standard method for mineralogical analysis. From mining to research purposes, XRD has found many uses and applications from routine QA/QC of mine run to solving the structure of clays from powder. The demand on the versatility of X-ray diffractometers is equally increasing to support research and process efforts. Modern applications in process geology, not only require an accurate instrument with limited downtime, but also one which can rapidly collect data. Central laboratories are routinely looking to streamline data collection and analysis. See the results provided with an ARL EQUINOX 1000 benchtop diffractometer. We participate in many trade shows and conferences worldwide. Take the opportunity to visit our booth and meet with our applications specialists.